The curtains opened on Irish Celtic to an authentic feel-good Irish pub complete with wooden bar and stools, potato hessian sacs, wine barrels, Irish signage, and intimate chairs and tables. The scene was set for what proved to be a thrilling night of entertainment. It felt like I had been welcomed with open arms to this pub, sitting at the table enjoying a drink and hearing stories of yester-years (‘the Craic’). ‘Paddy O’Flynn’ is the pub’s landlord and the narrator across the show. His opening line in his lilting Irish accent was: “Well hello there, welcome to Ireland’s Celtic Pub, I’m the pub’s landlord and we are going to have a ripper of a time!” This set the tone of the night with laughter a-flowing, lots of high energy dancing and innocent light-hearted competition and warm rivalry. 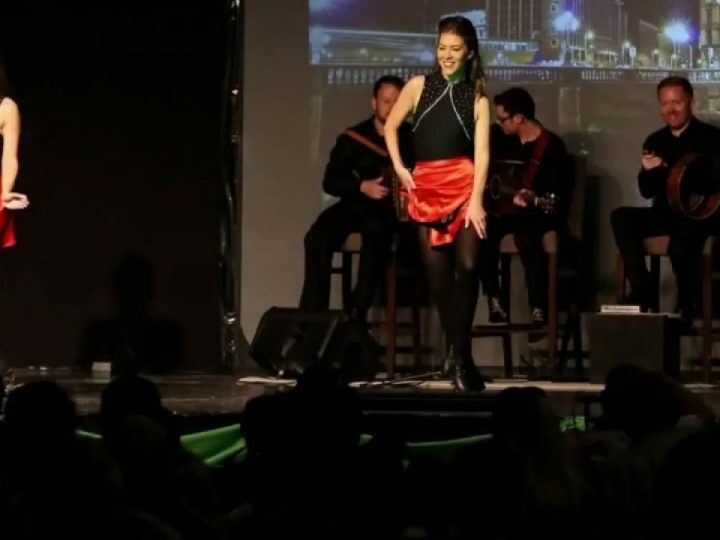 Paddy O’Flynn has a natural flair at getting the audience engaged through “Sláinte” (the Gaelic term for ‘cheers’) or getting them to clap along and laugh at his jokes. He gave it a personal touch in engaging the charms of the O’Flynn family, from encouraging his son ‘Diarmaid’ to get up the courage to approach his love, to the steps his son needs to take towards inheriting the family pub. 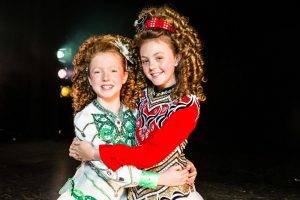 Irish Celtic covers the Irish hardship and history of their ancestors, and even though it touched on famine, oppression, invasion, the Titanic and not surrendering their freedom, it was delivered in a light way bringing the dance pieces and the storyline together. 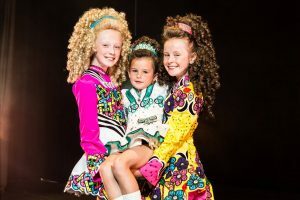 The talented Irish dancers had you dancing along on the edge of your seats, in awe of their stamina, agility and speed! 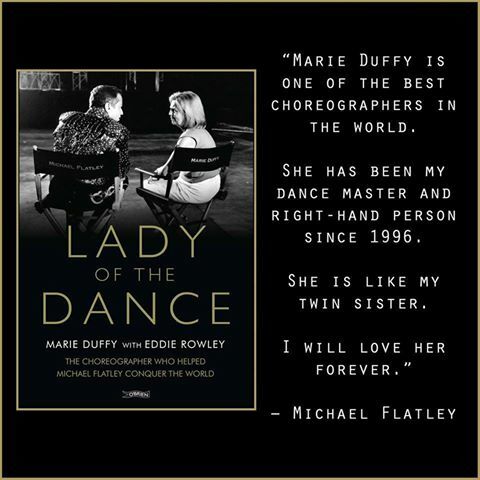 The dancers’ fitness is off the scale and their timing is phenomenal with a strong military like precision – power houses of grace and talent. And if that is not enough, the five-piece band infused irresistible charm, heart beating, and soul pumping magnetism. 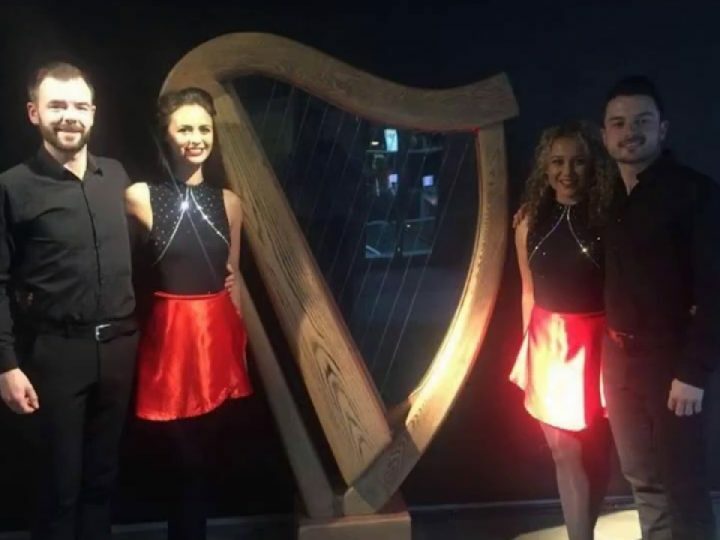 The music included upbeat music to romantic undertones, a great infusion of Celtic traditional and contemporary culture. The vocalist ‘Danny’ was great and ‘Nicole’ was the beautiful violinist. You could feel the passion from each of these performers on stage as they connected with the audience and you could not sit still, dancing to the feet-tapping music. 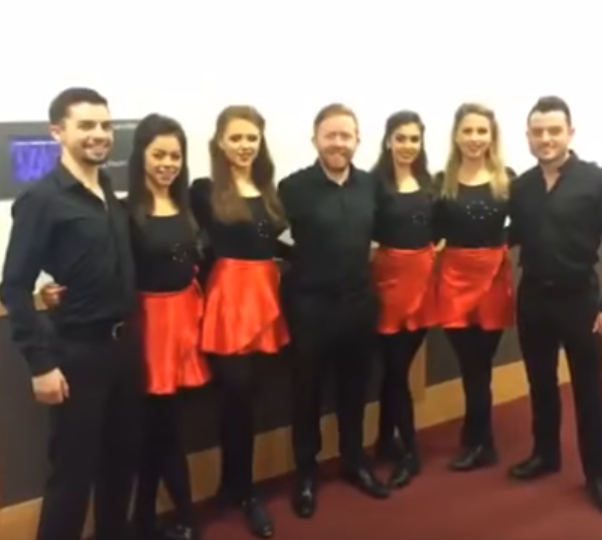 The choreography was superb and really captured the traditional threads of Irish Dancing including the Jig, Sean-nós and highlighted the modern tones with accents of Flamenco and Tango being added to the mix. Having the dancers shoes mic’ed up added to the depth of the sound and enhanced the beat and timing. No one dancer stood out, they were all very talented and animated and in total synchronicity. The costumes were fittingly authentic with earthy tones, swirling skirts, jeans and tied-up shirts for the lasses and braces or and vests for the lads. The transitions of formations were flawless as they floated in and out of shapes – circles, linear, stars, huddles, diagonals and encompassing the stage and props. In the first act the dance piece with 4 female dancers was beautiful as they wore no tap shoes giving the dance piece a softness and elegance. The constant changing of formations of four-to-duo-to-circular-like-stars glistening in the sky, as the air flowed under their gowns was dreamy. The lads’ battle captured the essence of the Irish spirit – “We don’t settle it with our fists, we settle it with our feet” – and each out-did the next with their sharp footwork. The use of the stage had a great flow, and by moving a barrel and a few chairs, gave you the feeling that you were moving from room to room in this pub. The lighting and soft mist really enhanced the mood changes, ranging from bright and white for the high energy performances to soft red and rich blues for the solo, instrumental and vocal pieces and beam lighting accenting the different areas. The cast comprised of the narrator, 12 dancers and five band members; and all were brilliant in their own right. 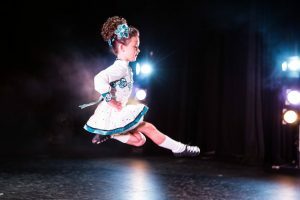 Irish Celtic invites the audience into the world of the Emerald Isle and its rich dance heritage where joy for life emanates, no matter what the obstacles are. The show has a positive, uplifting performance with a great storyline enjoyable for audiences from 8 to 80! I was expecting Irish dancing. I was not expecting a rollicking narrative to bring the dancing to life. 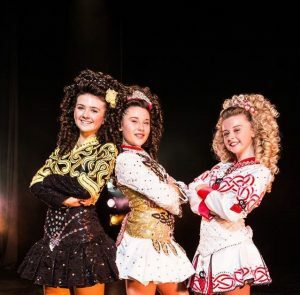 This is fantastic, family entertainment … it just does not get any more Irish than Irish Celtic!